These Legal Terms and Conditions apply to the entire dentrix.com Web site and all portions of the site contained therein (excluding links to other Web sites as provided below). These Legal Terms and Conditions shall apply to any future portions of the dentrix.com Web site (excluding links to other Web sites as provided below) unless otherwise stated. As a condition of your use of this Web site, you will not use the Web site for any purpose that is unlawful or prohibited by these terms, conditions, and notices. You may not use the Web site in any manner that could damage, disable, overburden, or impair any Henry Schein, Inc., Inc. server, or the network(s) connected to any Henry Schein, Inc., Inc. server, or interfere with any other party’s use and enjoyment of the Web site. You may not attempt to gain unauthorized access to any computer systems or networks connected to any Henry Schein, Inc., Inc. server or other systems, through hacking, password mining or any other means. You may not obtain or attempt to obtain any materials or information through any means not intentionally made available through the Web site. Henry Schein, Inc., Inc. makes no representation that the Web site is appropriate or available for use in locations outside the United States, and accessing the Web site from territories where such content is illegal is prohibited. Those who choose to access this Web site from locations outside the United States do so at their own initiative and are responsible for compliance with all applicable laws. You are responsible for maintaining the confidentiality of your logon information, and are fully responsible for all activities that occur under your password or user name. You agree (a) to immediately notify Henry Schein, Inc., Inc. of any unauthorized use of your password or user name or any other breach of security, and (b) to ensure that you exit from your account at the end of each session. Copyrights. Henry Schein, Inc. is the owner or licensee of all copyrights in and to the content on this Web site, including without limitation, (i) all materials, documentation, text, data, graphics, graphs, charts, buttons, photographs, videos, typefaces, music, sounds, HTML code, and interfaces contained on this Web site; and (ii) the design, selection and arrangement of this Web site. All rights reserved. Unless otherwise specified, you are granted a personal, non-exclusive, non-transferable, limited right to access, use, and display this Web site and the materials provided hereon for the purpose of obtaining and reviewing your account information. Specifically, you are granted permission to view or download a single copy of the material on the Web site solely to access our services, place orders, and review your account information. When content is downloaded to your computer, you do not obtain any ownership interest in such content, any modifications of the content, or any use of the content for any other purpose than that expressly permitted herein. Ownership of all such content shall at all times remain with Henry Schein, Inc. or its licensors. Henry Schein, Inc. and its licensors reserve all rights not expressly granted to you. Use of the copyrightable material on this Web site for any purpose not expressly authorized herein without the prior written permission of Henry Schein, Inc. or its licensors is forbidden. Trademarks. All trademarks, service marks, trade names, logos, and other designations (collectively the “Marks”) are the sole property of Henry Schein, Inc., or other third parties that have granted Henry Schein, Inc. the right and license to use such Marks. Nothing contained on this Web site should be construed as granting any license or right to use any such Marks without the written permission of Henry Schein, Inc. or such third party that may own the Marks displayed. While Henry Schein, Inc. takes reasonable care and skill to provide information which is accurate and up to date when first included on the Web site, typographical and other errors may nevertheless occur. Henry Schein, Inc. does not undertake to update or correct such information and reserves the right to modify, delete and rearrange any or all of the contents of this Web site at any time without notice to you. While Henry Schein, Inc. makes reasonable efforts to prevent unauthorized tampering with the Web site, Henry Schein, Inc. does not guarantee that its efforts will always be successful. Therefore, as set below, Henry Schein, Inc. does not warranty that the Web site materials will be error-free, and disclaims any liability for such errors. 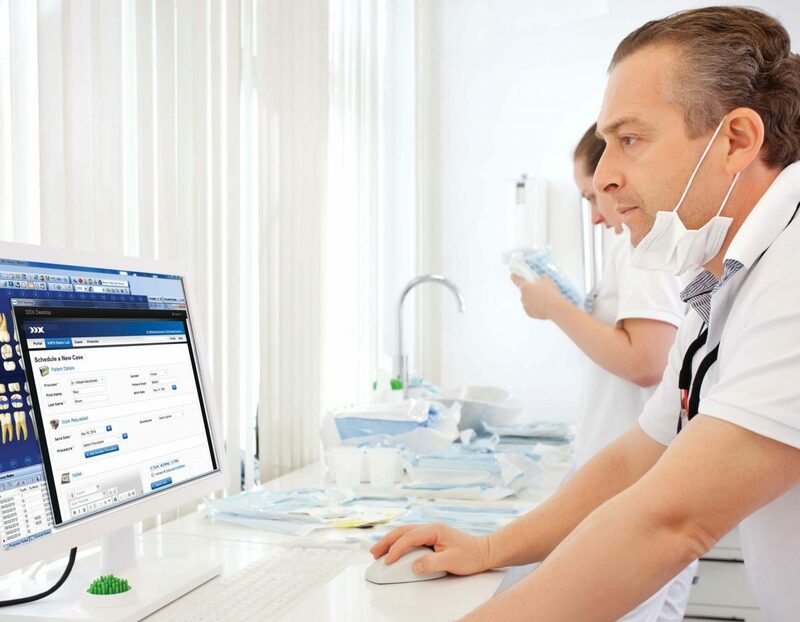 HENRY SCHEIN, INC. MAKES NO REPRESENTATION AS TO THE ACCURACY, TIMELINESS, OR COMPLETENESS OF THE WEB SITE MATERIALS OR ANY SOFTWARE INSTALLED BY YOU IN CONNECTION WITH THE USE OF THIS WEB SITE. HENRY SCHEIN, INC. PERIODICALLY AMENDS, CHANGES, ADDS, DELETES, UPDATES OR ALTERS THE INFORMATION, INCLUDING, WITHOUT LIMITATION, THE LEGAL TERMS AND CONDITIONS, AT THE WEB SITE WITHOUT NOTICE. FURTHER, HENRY SCHEIN, INC. ASSUMES NO LIABILITY OR RESPONSIBILITY FOR ANY ERRORS OR OMISSIONS IN THE CONTENT OF THE WEB SITE OR ANY SOFTWARE INSTALLED BY YOU IN CONNECTION WITH THE USE OF THIS WEB SITE. HENRY SCHEIN, INC. SPECIFICALLY DISCLAIMS ANY DUTY TO UPDATE THE INFORMATION ON THE WEB SITE. YOU ARE RESPONSIBLE FOR VERIFYING ALL INFORMATION LOCATED ON THIS SITE. Henry Schein, Inc. makes no representation that the Web site or its contents are appropriate for use in every country of the world. Your use of this Web site is at your own risk and you are responsible for compliance with applicable local laws, keeping in mind that access to the Web site may not be legal by certain persons or in certain jurisdictions. 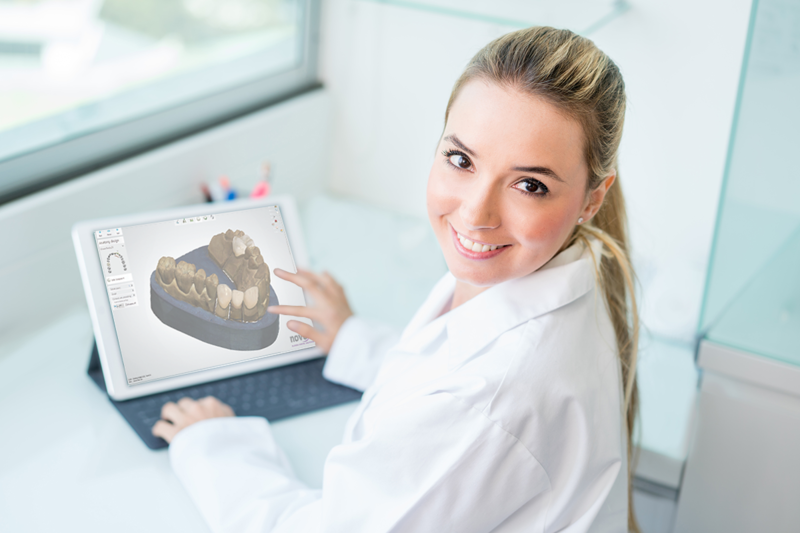 Use of the dentrix.com Web site or any software application installed by you in connection with the use of this Web site, is at your sole risk. While Henry Schein, Inc. makes reasonable efforts to ensure the safety and functionality of our Web site and any software applications associated with its Web site, these efforts may fail and errors may occur. IN NO EVENT SHALL HENRY SCHEIN, INC. OR ANY OTHER PARTY INVOLVED IN THE CREATION, PRODUCTION, OR DELIVERY OF THE CONTENT OF THIS SITE OR ANY SOFTWARE APPLICATION ASSOCIATED WITH THIS WEB SITE BE LIABLE FOR ANY DIRECT, INDIRECT, SPECIAL, INCIDENTAL, CONSEQUENTIAL, OR PUNITIVE DAMAGES OF ANY KIND, OR ANY DAMAGES WHATSOEVER RESULTING FROM LOSS OF USE, COMPUTER VIRUS OR SYSTEM FAILURE, OR LOSS OF DATA OR PROFITS, ARISING OUT OF OR IN CONNECTION WITH THE USE OR PERFORMANCE OF THIS WEB SITE (OR THE CONTENT PROVIDED AT THIS WEB SITE ON ANY WEB SITE RELATED TO ANY THIRD PARTY), OR ANY SOFTWARE APPLICATION INSTALLED IN CONNECTION WITH THE USE OF THIS WEB SITE OR USERS’ INABILITY TO USE THE CONTENT CONTAINED IN THIS WEB SITE (OR ANY OTHER WEB SITE), ON ANY THEORY OF LIABILITY. HENRY SCHEIN, INC. WILL NOT BE LIABLE OR RESPONSIBLE FOR ANY LOSS OR DAMAGE CAUSED BY OR ARISING FROM YOUR RELIANCE ON THE CONTENT OF THIS SITE. THESE WAIVERS APPLY EVEN IF HENRY SCHEIN, INC. HAS BEEN ADVISED OF THE POSSIBILITY OF SUCH DAMAGES. IN NO EVENT SHALL HENRY SCHEIN, INC.’S LIABILITY TO YOU FOR ANY DAMAGES, LOSSES, OR CAUSES OF ACTION (WHETHER IN CONTRACT OR TORT, INCLUDING, BUT NOT LIMITED TO, NEGLIGENCE OR OTHERWISE) EXCEED THE AMOUNT, IF ANY, PAID BY YOU TO HENRY SCHEIN, INC. FOR ACCESSING THIS WEB SITE OR INSTALLING ANY SOFTWARE APPLICATION ASSOCIATED WITH THIS WEB SITE. OUR MAXIMUM LIABILITY TO YOU IF YOU PURCHASE GOODS FROM US WILL BE EQUAL TO THE PURCHASE PRICE YOU PAY FOR THE GOODS. THE CONTENT TOGETHER WITH ANY DOCUMENTS ISSUED BY HENRY SCHEIN, INC. OR ANY OF ITS AFFILIATES, SERVICE PROVIDERS, OR BUSINESS PARTNERS AND AVAILABLE THROUGH HENRY SCHEIN, INC.’S WEBSITES MAY CONTAIN FORWARD-LOOKING STATEMENTS WITHIN THE MEANING OF THE U.S. PRIVATE SECURITIES LITIGATION REFORM ACT OF 1995. THOSE STATEMENTS MAY APPEAR IN A NUMBER OF PLACES IN THE SITE AND CAN BE IDENTIFIED BY THE USE OF FORWARD-LOOKING TERMINOLOGY SUCH AS “MAY,” “COULD,” “EXPECT,” “ANTICIPATE,” “INTEND,” “BELIEVE,” “PLAN,” “ESTIMATE,” “FORECAST,” “PROJECT,” “ANTICIPATE,” OR OTHER COMPARABLE TERMS OR THE NEGATIVE THEREOF. THE COMPANY PROVIDES THE FOLLOWING CAUTIONARY REMARKS REGARDING IMPORTANT FACTORS WHICH, AMONG OTHERS, COULD CAUSE FUTURE RESULTS TO DIFFER MATERIALLY FROM THE FORWARD-LOOKING STATEMENTS, EXPECTATIONS AND ASSUMPTIONS EXPRESSED OR IMPLIED HEREIN. THE FORWARD-LOOKING STATEMENTS INCLUDED HEREIN ARE BASED ON THEN-CURRENT EXPECTATIONS OF MANAGEMENT. ALL FORWARD-LOOKING STATEMENTS MADE BY US ARE SUBJECT TO RISKS AND UNCERTAINTIES AND ARE NOT GUARANTIES OF FUTURE PERFORMANCE. FORWARD-LOOKING STATEMENTS INVOLVE KNOWN AND UNKNOWN FACTORS, RISKS AND UNCERTAINTIES THAT MAY CAUSE OUR ACTUAL RESULTS, PERFORMANCE AND ACHIEVEMENTS, OR INDUSTRY RESULTS, TO BE MATERIALLY DIFFERENT FROM ANY FUTURE RESULTS, PERFORMANCE, OR ACHIEVEMENTS EXPRESSED OR IMPLIED BY SUCH FORWARD-LOOKING STATEMENTS. THOSE FACTORS, RISKS AND UNCERTAINTIES INCLUDE, BUT ARE NOT LIMITED TO, THE FACTORS DESCRIBED UNDER “RISK FACTORS” DISCUSSED IN OUR PERIODIC FILINGS MADE WITH THE SECURITIES AND EXCHANGE COMMISSION. THE COMPANY CAUTIONS THAT THESE FACTORS MAY NOT BE EXHAUSTIVE AND THAT MANY OF THESE FACTORS ARE BEYOND THE COMPANY’S ABILITY TO CONTROL OR PREDICT. ACCORDINGLY, FORWARD-LOOKING STATEMENTS SHOULD NOT BE RELIED UPON AS A PREDICTION OF ACTUAL RESULTS. THE COMPANY UNDERTAKES NO DUTY AND HAS NO OBLIGATION TO UPDATE FORWARD-LOOKING STATEMENTS. You agree to defend, indemnify, and hold harmless Henry Schein, Inc. and its affiliates, parents, subsidiaries, and their respective employees, agents, contractors, officers, directors, successors and assigns from all liabilities, claims, damages and expenses, including without limitation attorneys’ fees and costs, that arise from your use, misuse of this site or use of any software application associated with the use of this Web site. Henry Schein, Inc. shall have the right immediately to terminate this agreement with you and your use of the Web site if it determines in its sole discretion that you have breached any of these Legal Terms and Conditions or otherwise been engaged in conduct which Henry Schein, Inc. determines in its sole discretion to be unacceptable. These Legal Terms and Conditions shall be governed by and construed in accordance with the laws of the state of New York, without regard to such state’s rules regarding conflicts of laws. By accessing this Web site, you agree that courts located in the Eastern and Southern Districts of New York or in the counties within those federal judicial districts shall have exclusive jurisdiction over all claims and actions arising out of or relating to these Legal Terms and Conditions and/or your use of this site, and you further agree and submit to the exercise of personal jurisdiction of such courts and consent to extra-territorial service of process for the purpose of litigating any such claim or action. A printed version of these Legal Terms and Conditions and of any notice given in electronic form will be admissible in judicial or administrative proceedings relating to these Legal Terms and Conditions to the same extent and subject to the same conditions as other business documents originally generated and maintained in printed form. For purposes of any dispute, Henry Schein, Inc.’s records shall be conclusive in all respects. RSS is a free service offered by Henry Schein, Inc. for non-commercial use. Any other uses, including without limitation the incorporation of advertising into or the placement of advertising associated with or targeted towards the RSS Content, are strictly prohibited. You must use the RSS feeds and audio or video content as provided by Henry Schein, Inc., and you may not edit or modify the text, content or links supplied by Henry Schein, Inc.. For web posting, reprint, transcript or licensing requests for Henry Schein, Inc. material, please e-mail your request to support@henryschein.com. The RSS service may be used only with those platforms from which a functional link is made available that, when accessed, takes the viewer directly to the display of the full RSS page. You may not display the RSS Content in a manner that does not permit successful linking to, redirection to or delivery of the applicable Henry Schein, Inc. web page without prior authorization. You may not insert any intermediate page, splash page or other content between the RSS link and the applicable Henry Schein, Inc. web site web page. Henry Schein, Inc. retains all ownership and other rights in the RSS Content, and any and all Henry Schein, Inc. logos and trademarks used in connection with the RSS Service. 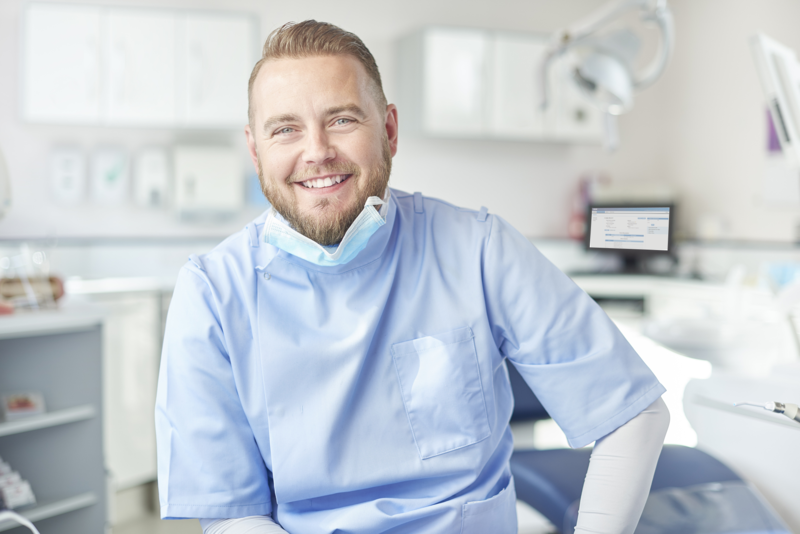 You must provide attribution to the appropriate Henry Schein, Inc. website in connection with your use of the RSS feeds. If you provide this attribution using a graphic, you must use the appropriate Henry Schein, Inc. logo that we have incorporated into the RSS feed. These Legal Terms and Conditions constitute the entire agreement between you and Henry Schein, Inc. with respect to this Web site and supersede all prior or contemporaneous communications and proposals (whether oral, written, or electronic) between you and Henry Schein, Inc. with respect to this site. If any part of these Legal Terms and Conditions is held invalid or unenforceable, that portion shall be construed in a manner consistent with applicable law to reflect, as nearly as possible, the original intentions of the parties, and the remaining portions shall remain in full force and effect.